Oil changes are one of those preventative maintenance services that you don’t want to forget about. Miss your time and a few months from now you’ll start to feel it in the way that your engine handles. With a full synthetic or conventional oil and filter change, you know your Accord, Civic, CR-V, or any other vehicle, is being well maintained! The engine oil that you have circulates through a filter before it goes into the engine, lubricating all of the moving parts. As you drive, this oil is going to get dirty because of the various pollutants from the air. Your filter will do all that it can, but, eventually, the oil and filter need to be replaced. If you don’t replace your oil and filter frequently, it can cause problems within the engine. The dirty oil can cause added wear and tear on all of the moving components. Further, it’s going to impact the fuel efficiency of your engine. Suddenly, you’ll find that your engine runs hotter and you’re spending more on gas money every single week. When you get the conventional oil and filter change service performed, they can show you the dipstick so that you can see just how dirty your oil was. They’ll drain out the oil, change the filter, and fill your oil reservoir with new oil. It will ensure that you’re able to go for another 3,000 miles (or more) depending on your engine. When you drive more, you need this service more often. When you’re in Wayne County, you can turn to LaFontaine Honda for a reliable, affordable conventional oil and filter change service that you can count on. An oil change and filter service need to be performed on a regular basis to avoid problems with your engine. 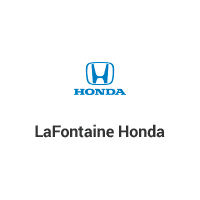 At LaFontaine Honda, we service Detroit, Taylor, and Westland, Michigan in addition to Dearborn. This provides you with a convenient location where you can count on factory-trained, certified technicians as well as state-of-the-art repair facilities. We have competitive pricing and honor all competitor coupons. When you bring your vehicle in for an oil change, we will also perform a courtesy multi-point vehicle inspection. Our factory-trained product specialist service advisors can ensure that your Honda is getting the attention that it needs. Plus, you can count on the quality thanks to OEM parts as well as a labor and parts warranty. We look forward to providing you with an oil change as frequently as you need!